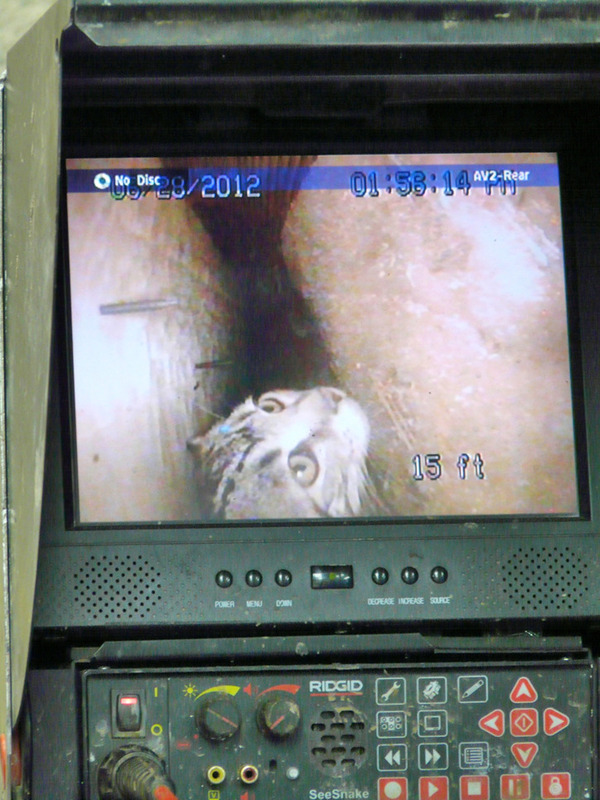 Neither the fire department nor the SPCA would send help, but Dave Radey of Milani Plumbing took an early morning call and saved a kitten with the use of his sewer snake video camera. Suzanne Burke was cat sitting for her father earlier this week in his apartment over an antique shop in Pitt Meadows, Vancouver, BC, when three month old Timbit slipped into a furnace heating duct and became trapped between floors. The kitten managed to lift up a vent cover, causing her to fall inside. Suzanne searched unsuccessfully for hours and seemed unable to get help. 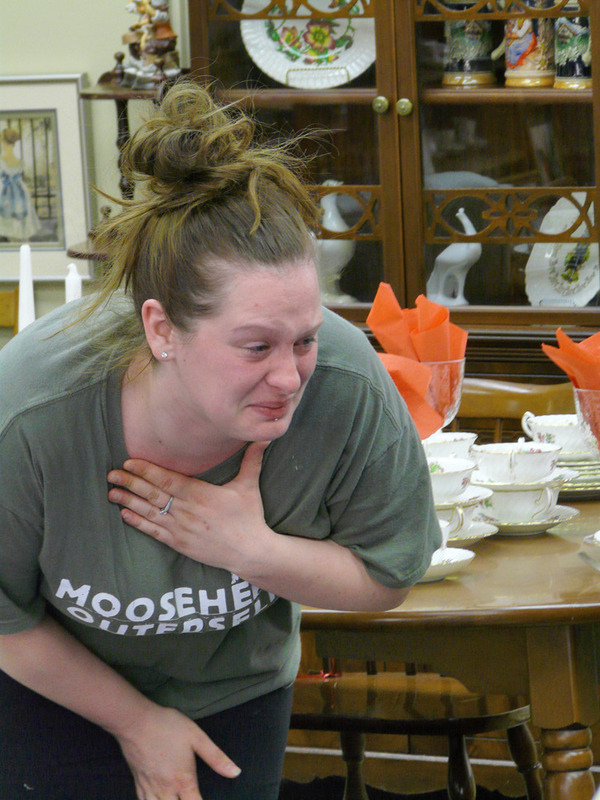 In addition to the fire department and the local SPCA, several plumbing companies also declined to come to her aid. 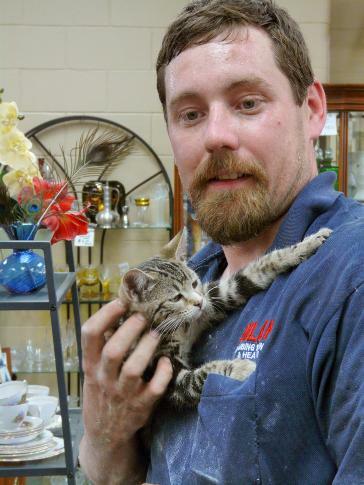 Finally, Dave Radey, a cat owner himself, took an early morning call and spent several hours rescuing the trapped kitten. In addition to his use of the video camera to locate Timbit, Dave also drilled holes and cut plasterboard to locate the cat, who was found in the ceiling of the downstairs antique shop. Once Timbit was spotted on the camera near the opening, Suzanne’s voice and a can of cat food drew her near enough for Dave to grab her and bring her to freedom. Th photo below shows Suzanne’s expression when she finally saw the kitten’s little face on camera, and knew she would be rescued soon. Thanks Dave for taking the effort to rescue this kitten. Thank you to Dave!! Thank goodnes for compassionate people which leaves much to be said for the SPCA in Vancour. I can understand they might not be equipped to help but why couldn’t they advise who to contact. Aweome post! As, this blog is really inspiring for all that how Dave save a kitten. Thus, Vancouver Plumber are the best plumbers and use the best cameras.